I apologize for butchering this timeless movie quote for the purposes of this post title. But it just popped into my brain and I was just so tickled with it, I could not let it go. The point is, we received some really great news recently regarding Ollie’s dietary restrictions and felt compelled to share it. 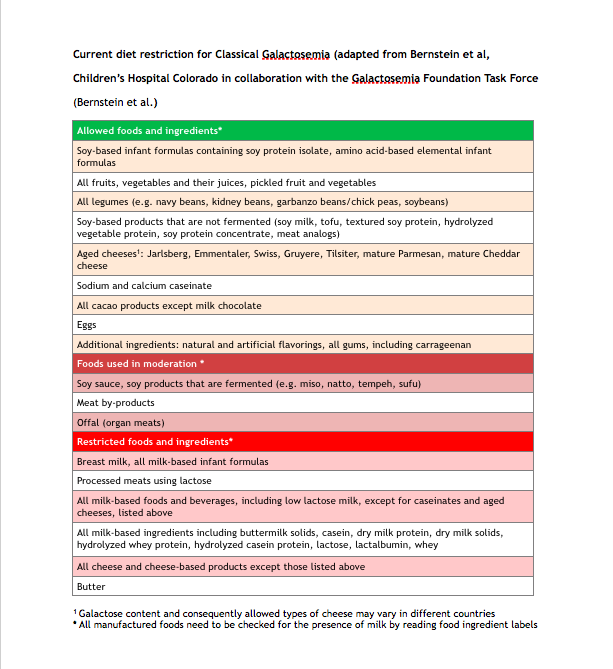 The Galactosemia Foundation Task Force has updated the dietary restrictions for classical galactosemia. While Oliver still cannot consume most dairy products, with the exception of a few cheeses that are considered acceptable, fermented soy products have now made their way into a new “Foods used in moderation” category which means he can have some of those foods. Fermented soy includes soy sauce, tempeh, and miso. For Korean cooking, this would also include gochujang and doenjang, two staples in many of our favorite dishes. Most every person I have talked to for the first time about Oliver’s galactosemia has the same response when it comes to his diet: “I could never live without cheese. I just love it so much.” And, while there are plenty of meals and dishes that I do love that contain cheese, I cannot say I miss it very much at all. Just like store-bought pastries or ice cream cones on a summer day, not having it as part of our diets is inconvenient, but not something truly crave-worthy. Of course, it helps that we are able to cook with aged parmesan and aged cheddar, so our lives need not be completely cheese free. But for this family (my caucasian husband included), Korean food and cooking is and has always been a big part of our lives. Faced with the prospect that Oliver would never be able to partake in many of the dishes I grew up on, the weight of the loss of that cultural connection for him was so much heavier than I could have known. In the grand scheme of things, having or not having an ingredient be a part of our diet is not the worst thing in the world. There are plenty of families and children dealing with far worse predicaments and life circumstances. But still, receiving the news that fermented soy is acceptable in limited quantities for our boy, we could not help but feel a real sense of celebration. When one of Oliver’s dietitians emailed us last week to give us the news, she knew how excited we would be, too. (Below is the newly revised list!) We had been talking about this particular missing part of our diet for many months, and even though they had an inkling this move was coming, we did not receive the official news until last week. Maybe it seems like a minor victory to most, but for us it opens up a new connection to his family and history that was missing before. And that is a true gift.